This article was originally published on May 5, 2014, by Haaretz. The full article can be found on their website here. The owner of the LA Clippers have given tens of thousands of dollars annually to local Jewish causes. Taking a stand against his racism means refusing his charity. Donald Sterling, the now infamous owner of the NBA’s Los Angeles Clippers, has given tens of thousands of dollars on an annual basis to local Jewish causes, including major gifts to the Los Angeles Jewish Federationand, somewhat ironically, the Simon Wiesenthal Center and Museum of Tolerance. 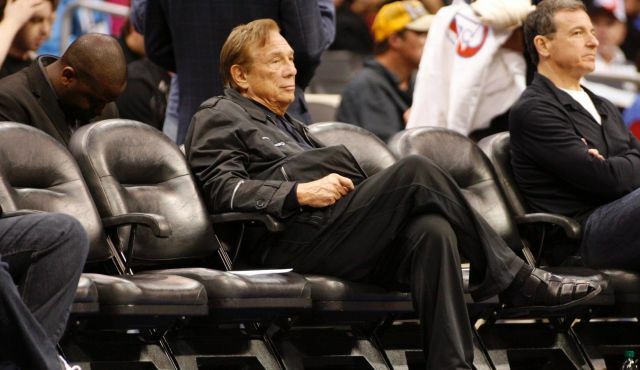 Now, even non-sports fans know Sterling’s name, as we learned last week of secret recordings in which he made racist comments, bluntly informing his mistress that he did not want to see her taking pictures with African-Americans or inviting them to Clippers games. In fact, he even stated it would be better if no African-American fans attended in general. The NBA responded sternly and appropriately to these comments, with a lifetime ban, a fine of $2.5 million, and NBA Commissioner Adam Silver saying he would encourage the NBA’s Board of Governors to vote and force Sterling to sell the team. Some have suggested he should be forced to give more money and donations to organizations that combat racism, bigotry and hate. However, is accepting his money not a tacit acceptance of his thoughts, opinions and viewpoints? Does accepting his donations not condone his prejudice? Furthermore, to continue to accept donations from him suggests that his comments, at least in private where he made them, are acceptable and commonplace. The Jewish community as a whole must be more careful in considering whose charitable gifts we accept. Otherwise, we run the risk of being defined by the unethical and prejudiced viewpoints of some of those who give. We must always look a gift horse in the mouth. Donald Sterling’s recent racist comments are just a reminder of that. Diane Tobin, founder and director of Be’chol Lashon, an organization which focuses on ethnic, cultural and racial inclusiveness in the Jewish community, explains that the sentiment behind Donald Sterling’s comments are more troublesome than the comments themselves. Mr. Sterling’s comments suggest a white superiority that the Jewish community cannot hold. His comments became public last week only days before Holocaust Remembrance Day, when we mourn and memorialize the six million Jews who were murdered in the Holocaust, and the 11 million people murdered because of religion, race, political affiliation, ethnicity, sexual orientation and disability. He made bigoted comments as a Jew only days before world Jewry mourned the scariest result of such bigotry: mass murder and genocide. Holocaust Remembrance Day is now commonly referred to as Yom Hashoa u’Gevurah, Holocaust and Heroism Day. This is because we do not only mourn the six million Jews murdered simply because of their faith; we also honor and celebrate the brave men and women, Jew and non-Jew, who were willing to take a stand in the face of bigotry and hate. We must be willing to stand up to bigotry as well. We, as a Jewish community, must publicly take a stand and declare that Sterling’s views are not our views, that he does not define us, and that we refuse to benefit from his money. If we truly believe in the promise of ‘Never Again,’ then we must stamp out all forms of bigotry in our midst. Tzedakah is about more than just writing a five, six or seven figure check. The root of the Hebrew word tzedakah is tzedek, meaning justice. Let us ensure justice for all by ensuring that each individual is treated with the dignity and respect he or she deserves, and not be bullied into beliefs, opinions or bigotry by those who have the means to influence such beliefs. Let us embrace each other. As we hang our heads in shame at Sterling’s comments, let us proudly say that they do not represent us, for we see God in each individual. This, after all, is the real meaning of tzedakah.